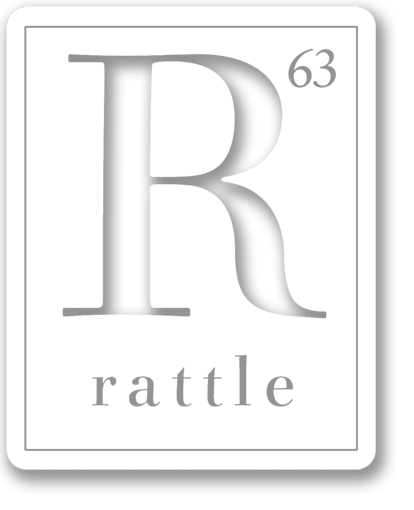 Rattle #54 is another entirely open issue—an opportunity to cleanse our palates and empty our coffers in releasing a wide range of colorful poetry. Poets show off their best and dive into questions big and small, with poems on life and death, string theory and domesticity, laurels and plumes—hence the peacock cover. The winter issue also features the 2016 Rattle Poetry Prize winner, Julie Price Pinkerton’s $10,000 poem “Veins,” along with the ten finalists. And as always, subscribers may vote for the runner up. In the conversation section, Timothy Green discusses a wide range of topics, including the value of poetry and the state of poetry in India, with Meena Alexander.